Jorge Lorenzo's Austin MotoGP podium hopes ended before the race had even begun when he made this jump start error from fifth on the grid. 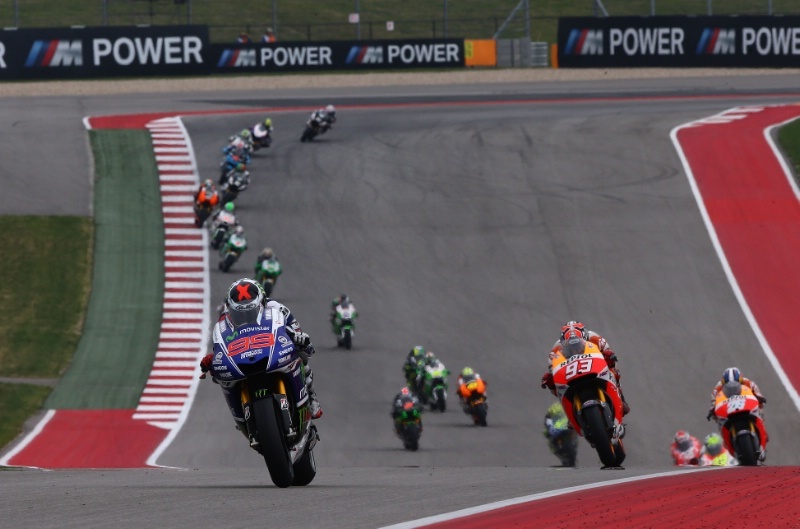 Jorge Lorenzo's Austin MotoGP podium hopes ended before the race had even begun when he made this jump start error (below). It was the last thing the double world champion needed after falling from the lead on lap one of the opening round in Qatar. The Austin MotoGP grid lines-up with Jorge Lorenzo in fifth (above). Lorenzo reacts to the red lights coming on rather than off and jumps the start. Lorenzo pauses, then realises the damage is already done and blasts away. Distracted, fellow second row starters Valentino Rossi and Alex Espargaro make bad starts. Lorenzo is a long way clear by the approach to turn one. Lorenzo briefly leads. He didn't wait to be told of his penalty and pulled into pit lane at the end of the first lap.